Energy performance simulation is a generally used method for assessing the energy consumption of buildings. Simulation tools, though, have shortcomings due to false assumptions made during the design phase of buildings, limited information on the building’s envelope and installations and misunderstandings over the role of the occupant’s behavior. This paper presents the results of a Monte Carlo sensitivity analysis on the factors (relating to both the building and occupant behavior) that affect the annual heating energy consumption and the PMV comfort index. The PMV results are presented only for the winter (heating) period, which is important for energy consumption in Northern Europe. 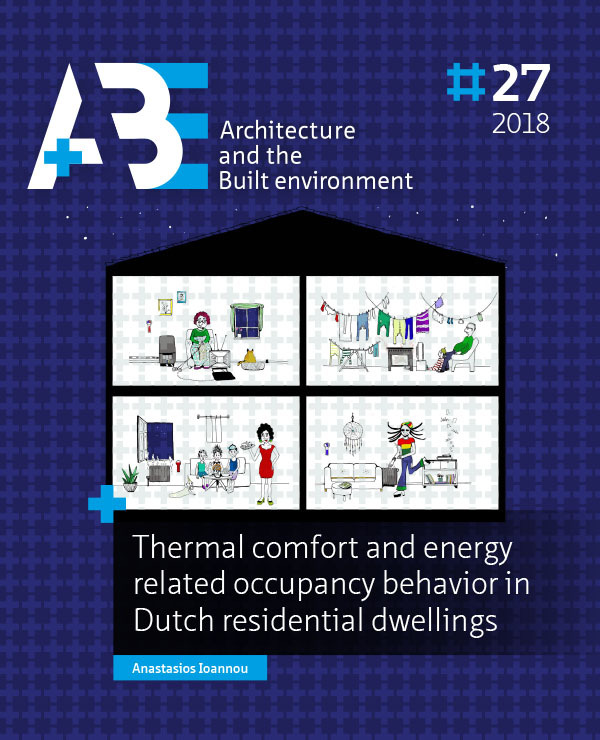 The reference building (TU Delft Concept House) was simulated as both a Class-A and Class F dwelling and with three different heating systems. If behavioral parameters are not taken into account, the most critical parameters affecting heating consumption are the window U value, window g value and wall conductivity. When the uncertainty of the building-related parameters increases, the impact of the wall conductivity on heating consumption increases considerably. The most important finding was that when behavioral parameters like thermostat use and ventilation flow rate are added to the analysis, they dwarf the importance of the building parameters. For the PMV comfort index the most influential parameters were found to be metabolic activity and clothing, while the thermostat had a secondary impact. IOANNOU, Anastasios; ITARD, Laure. Energy Performance and comfort in residential buildings. A+BE | Architecture and the Built Environment, [S.l. ], n. 27, p. 51-92, dec. 2018. ISSN 2214-7233. Available at: <https://journals.open.tudelft.nl/index.php/abe/article/view/3511>. Date accessed: 26 apr. 2019. doi: https://doi.org/10.7480/abe.2018.27.3511.